“Satthwa means ‘pure’ in Sanskrit and we stand by our motto ‘pure to the core’. 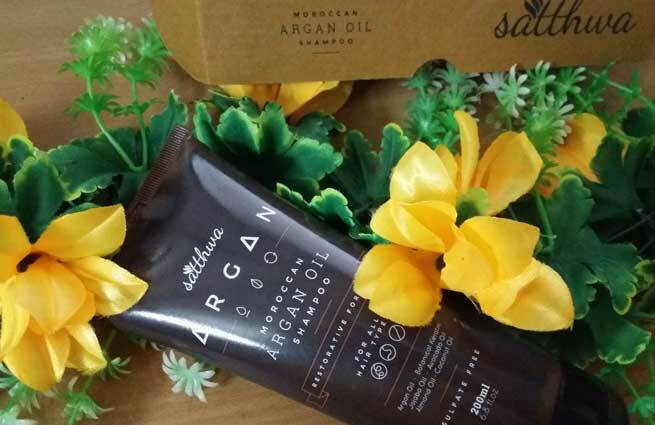 Satthwa Moroccan Argan Oil Shampoo is a ‘Restorative Formula’ that combines a number of ‘awesome ingredients’ to nourish your scalp and hair to give you healthy and beautiful locks. It is ‘one of the best shampoo’s in India’ that is made for all hair types (straight, wavy, and curly) and suits both men and women. It also does not contain any harmful chemical or preservative (paraben, sulfate, alcohol, etc. ), which have negative impact on your scalp and hair. Aqua, Argania Spinosa (Argan Oil), Avocado Oil, Jojoba Oil, Botanical Keratin, Almond Oil, Coconut Oil, Lauryl Glucoside, Coco Glucoside, Decyl Glucoside, Cocamidopropyl Betaine, Glycerine, Alo Vera Gel, Hibiscus Rosa-Sinensis (Hibiscus Oil), Azadirachta Indica (Neem Extract), Polyquart-10, Phenoxyethanol, Caprylyl Glycol, Sodium Phytate, Xanthan Gum & Natural Fragrance. Moroccan Argan Oil: Rich in vitamin E, essential fatty acids, phenols, and carotenes. Proven to make hair softer, silkier and shinier. An ideal hair conditioner that tames frizzy hair. A good treatment for damaged hair and split ends. Jojoba Oil: High in hair-nourishing vitamins and minerals. Capable of moisturizing hair and its follicles without leaving any residue. Strengthens hair fibers, treats itchy scalp, prevents breakage, and stops hair loss. Promotes the growth of thick and shiny hair. Almond Oil: Loaded with vitamin E, omega-3 fatty acids, phospholipids, and minerals. Nourishes and strengthens hair while adding shine and silkiness to it. Optimal for treating hair loss, thinning hair, and damaged hair. Stimulates hair growth. Avocado Oil: Contains vitamins (A, B5, biotin, D, E), minerals, antioxidants, and essential fatty acids that make hair healthy and shiny. Moisturizes, repairs, and strengthens hair. Generates new hair follicles and promotes hair growth without causing greasiness. Keeps hair loss, breakage, and frizz at bay. Coconut Oil: Packed with scalp and hair-friendly nutrients. Nourishes hair follicles and encourages hair growth. 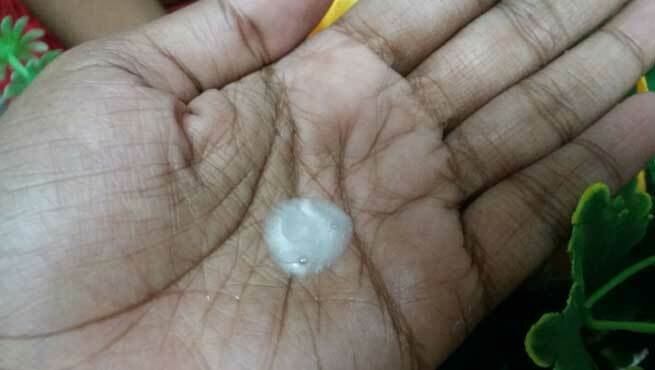 Fights against fungi that cause dandruff. Gives longer, stronger, softer, shinier, and voluminous hair without drying the scalp. Stops breakage and split ends. Botanical Keratin: Reduces frizzy hair. Takes care of dry and damaged hair. Adds strength and elasticity to hair fibers. Keeps dandruff away and makes the hair healthy. Paraben-Free: Does not contain harmful preservatives / alcohol, which cause long-term damages to the scalp as well as the hair shafts. Sulfate-Free: Does not contain harmful SLS (sodium laureth sulfate), which is also known to be a skin-irritant. I just loved the packaging of Satthwa Moroccan Argan Oil Shampoo! It is simple yet unique. Unlike most other shampoos, this premium shampoo is available in the form of a tube and you can’t help but love its classy look. It is basically a large, shiny, chocolate-coloured plastic tube with a darker flip-top cap, which can also be considered as a screw cap for rare usage. This makes the product hygienic enough and prevents you from dispensing too much of it at a time. On the other hand, the sturdy and leak-proof packaging also makes the product handy and travel-friendly. The labels on both sides of the tube displays all necessary information in details clearly. However, the tube is not transparent and you cannot see how much shampoo is left inside as you keep using it. The tube comes in a nice cardboard box with the name of the brand printed on it. The colour of the shampoo is pearly white, which is quite similar to many other regular shampoos available in the market. It has a strong herbal fragrance and I found it to some extent comparable with that of Satthwa Premium Hair Oil. Though not for me, but the aroma of the shampoo can actually bother sensitive noses. However, it does not stay after shampooing, which is a plus. The texture and consistency of the shampoo are silky smooth and thick respectively. In fact, it is much thicker than other commercial shampoos and feels a little sticky to touch (probably due to the presence of so many good oils in it). 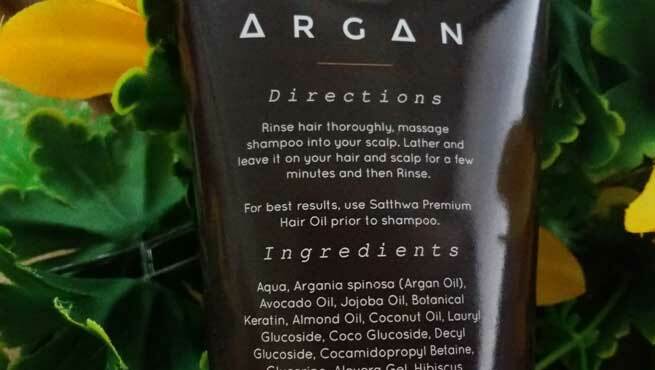 While started using Satthwa Moroccan Argan Oil Shampoo, the first thing that caught my attention was how ‘oily’ it was feeling in between palms! 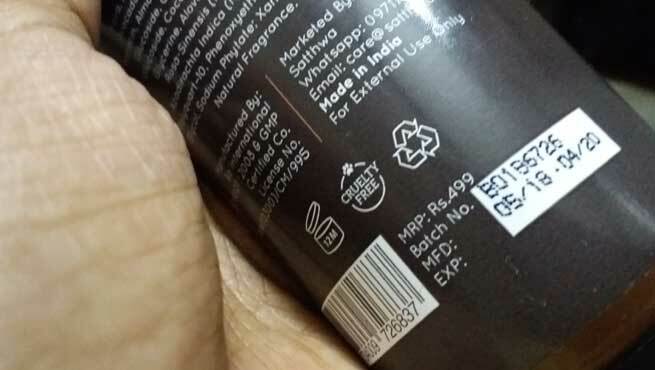 Unless you work it on your scalp as well as damp hair, you can’t believe that it is a shampoo. This itself proves how genuine the product is. It actually comes loaded with many nourishing oils, which can be felt easily during the application. As it felt so oily on the palm, I didn’t expect it to lather at all. But to my utter surprise, it lathered really well and a little amount proved to be enough for making my scalp and my waist-long hair squeaky clean. It was another surprise for me as the shampoo came off immediately when rinsed with plain water! No heavy or sticky feeling, no residue, no strong fragrance! The shampoo works beautifully for my hair. It definitely lives up to its claims as my hair has been feeling much softer, smoother, and more manageable since the very first wash. As my hair is a little dry and frizzy in nature, I never miss oiling it before the night I apply shampoo. But I tried this shampoo without a night oil massage on my first use and the hair was not rough or lifeless at all. I find it completely suitable for my wavy hair and the goodness of oils never makes it tangled. My hair is a little damaged due to pollution and this shampoo has actually been making it look healthier day by day. I need to use it for more days in order to comment on the hair regrowth part, but for now, I can say that it is a wonderful shampoo for improving the texture and health of the hair. Rinse hair thoroughly with water and massage a coin-sized amount of shampoo into your scalp for a few minutes. Lather and leave it on your hair and scalp for a few minutes and then rinse. For best results, use Satthwa Premium Hair Oil prior to shampooing. If you are suffering from dry and damaged hair, Satthwa Moroccan Argan Oil Shampoo should be your first choice right now! In fact, if you just need to make your hair look healthier and more manageable, this shampoo is for you too. Just go for it!